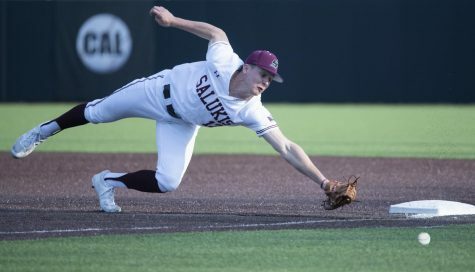 SIU baseball put it all together at Itchy Jones Stadium on Tuesday night, with clutch hitting and solid pitching securing a 4-2 win over non-conference opponent Southeast Missouri. Southern sent freshman pitcher Henry Boeckmann to the mound against SEMO for his third start of the season. All three of his starts have been during weekday match-ups. Boeckmann looked to improve after he struggled during his last outing against Austin Peay on April 4, managing only 1.1 innings while allowing two runs on four hits and one hit batsman. He navigated through SEMO’s top of the order in the first inning handily, needing only 10 pitches to retire the side. The top of the second did not go as smoothly for Boeckmann, as two unearned runs scored in the inning on one hit, one walk and one error. He induced a ground out from the sixth batter of the inning for the third out, leaving SEMO with an early 2-0 lead. 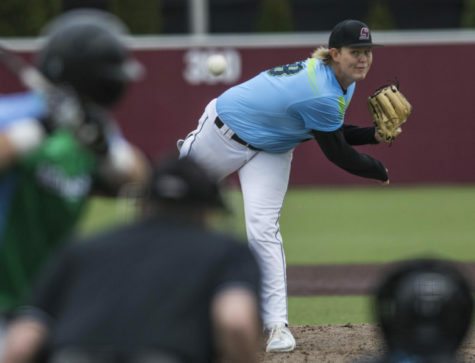 Boeckmann found trouble again in the top of the third when he surrendered two hits and one walk through the first four batters he faced in the inning. But with the bases loaded and one out, a deep fly ball to the warning track from SEMO’s catcher Brian Lees was corralled by senior right fielder Ryan Smith for the second out of the inning. A perfect throw from Smith to senior shortstop Will Farmer covering second base following the catch beat SEMO’s runner trying to tag up and advance from first base for the third out of the inning, keeping the score at 2-0. The third inning was the last for Boeckmann, who finished his day at 3.0 innings, with two runs (both unearned) on three hits and two walks. Southern put their first run on the board in the bottom of the third inning. Senior center fielder Dyllin Mucha singled to lead-off the inning, and advanced to third base on freshman left fielder Addison Fugitt’s single to the right-center gap before coming home on Smith’s RBI single to right, cutting into SEMO’s lead 2-1. Junior pitcher Jamison Steege entered the game in relief of Boeckmann and limited SEMO’s hitters to one hit and one walk while allowing no runs through the fourth and fifth innings. With Steege keeping SEMO from adding to its lead, Southern put together a rally in the bottom of the fifth inning. 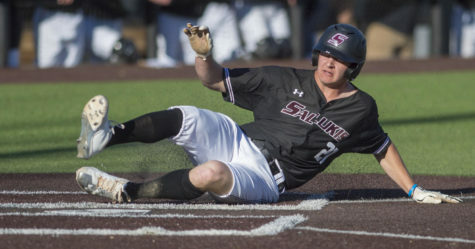 Two straight singles by Fugitt and junior second baseman Connor Kopach to lead off the inning gave SIU runners on the corners with no outs in the inning. Fugitt scored on Smith’s RBI ground out to tie the game 2-2. 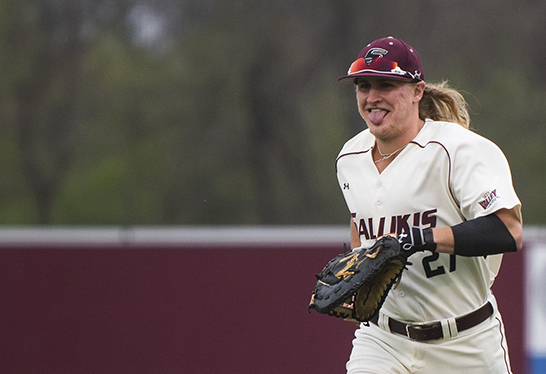 Kopach advanced to second base on Smith’s ground out and stole third base for his MVC-leading 19th stolen base of the season. SEMO catcher Lees threw the ball into left field trying to catch Kopach stealing, allowing Kopach to score easily to give Southern its first lead of the game 3-2. Senior designated hitter Jake Hand followed the play with his third home run of the season, sending the third pitch of his at-bat deep over the left field wall to give Southern a 4-2 lead after five innings. Hand’s home run was his first of the season that did not come with the bases loaded, as both his previous round-trippers were grand slams. This home run was also special due to the timing — Tuesday’s game landed on Hand’s 22nd birthday. Senior pitcher Austin McPheron entered the game in the top of the sixth in relief of Steege after Steege gave up a lead-off single to begin the inning. Steege finished his day with 2.0 innings, scattering two hits and walking one while keeping SEMO off the scoreboard. 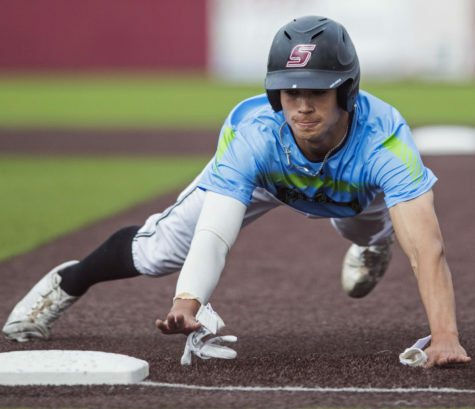 McPheron walked the first batter he faced before sandwiching a fly out between two strikeouts to strand both SEMO runners on the bases and protect Southern’s lead. 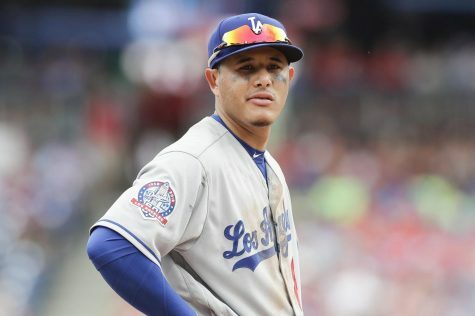 He remained in the game through the top of the seventh, working a 1-2-3 inning to bring an end to his day. McPheron finished with 2.0 innings, allowing no runs and no hits while walking one and striking out two. 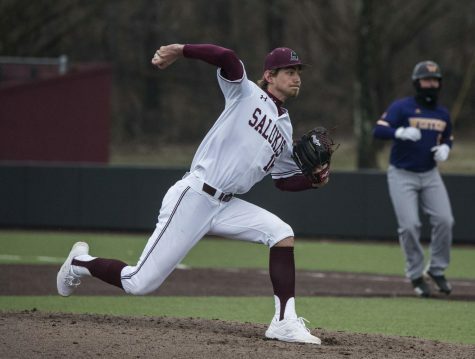 Senior pitcher Jacob Williams came in to cover the eighth inning for the Salukis, surrendering one hit and one walk while striking out one in a scoreless inning. With a 4-2 lead in the top of the ninth, Head Coach Ken Henderson sent in junior pitcher Ryan Netemeyer to close out the win for Southern. Netemeyer worked a perfect inning, striking out one while sitting down SEMO’s 6-7-8 hitters in order for his 11th save of the season and 24th of his career in the 4-2 Saluki win. 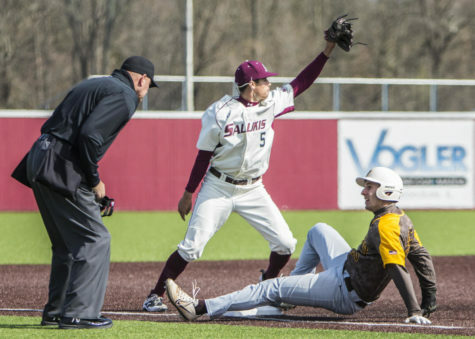 This was the Salukis’ second weekday win of the season – and first at home – moving their record to 2-7 during the week. Two Saluki hitters came through with multiple hits in Tuesday’s game, with Smith going 2-for-4 with two RBI’s and Fugitt going 2-for-2 with a walk and a run scored. Tuesday night served as Fugitt’s college debut, after missing the first 33 games of the 2017 season due to a hand injury he sustained in pre-season play. With their first weekday win at home in the books, Coach Henderson believes the team is ready to keep the momentum moving forward. 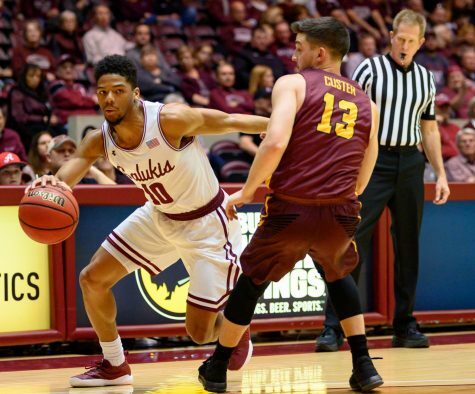 With this win, the Salukis move back to .500 on the season with a 17-17 overall record. They look to improve on their 4-2 MVC record when they travel to Indiana State this weekend for a three-game conference series. 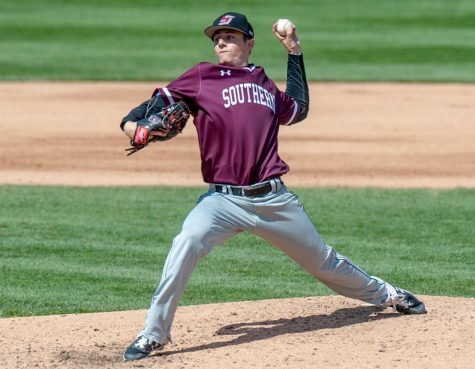 First game of the series is scheduled for Friday, with first pitch at 5:30 p.m. Saluki senior starting pitcher Chad Whitmer will toe the rubber for Southern in the first game Friday night. On a final note, Hand wanted to dedicate his home run Tuesday night to none other than his mom. Sports writer Denton “Gio” Giovenco can be reached at dgiovenco@dailyegyptian.com or on Twitter @DentonGiovenco.